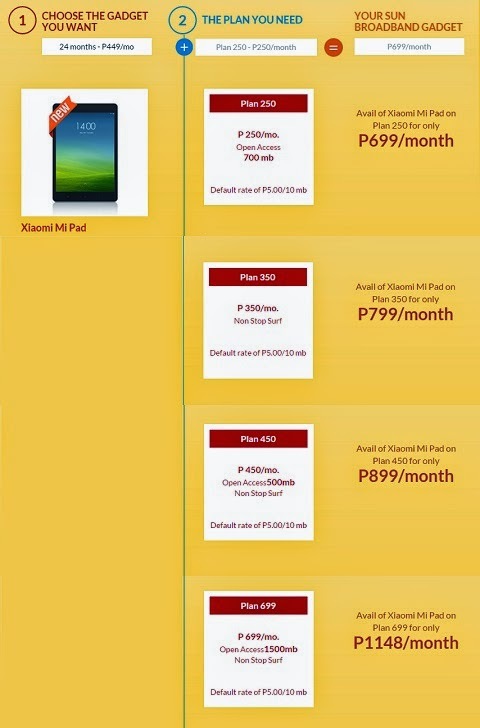 Xiaomi Mi Pad is now available in Sun Broadband Gadget Plans. Get it in Plan 250 with Php 449 monthly cash out. 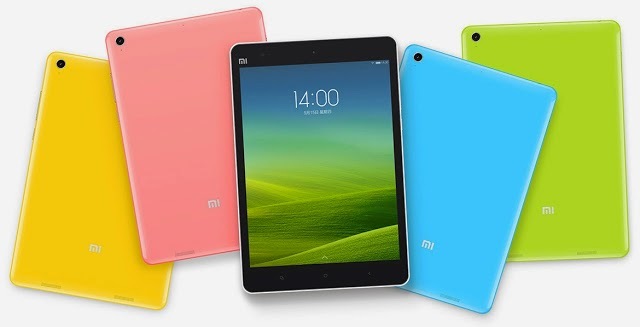 Xiaomi Mi Pad is now available in Sun Broadband Gadget Plans. You can now get the bestselling tablet from the popular Chinese premium manufacturer in as low as Php 699 a month under Plan 250. The package comes with 700MB worth of data allocation. The telco is also offering the device in Plan 350, Plan 450, Plan 699. Each has a Php 449 monthly cash out on top of you base plan for 24 months. The Xiaomi Mi Pad is one of the most popular Android tablets with a stunning 7.9-inch IPS display at 326 ppi pixel density. It also comes with a powerful NVIDIA Tegra K1 chipset that inlcudes 2.2GHz quad-core CPU and 2GB of RAM.